This classic tale of intrigue, mystery and adventure takes place on the ivory harvesting and trade route in the Congo, in the depths of Africa. In this book, Marlow, a sea captain on a ship at anchor, retells a story of his assignment upon a steamer ship in the Congo to a group of his ship mates. During his mission he is asked to retrieve and return Kurtz, an ivory hunter with a resounding reputation where ever his name is mentioned, who delivers more ivory than all the other stations combined, and who has a reverenced effect on the natives. 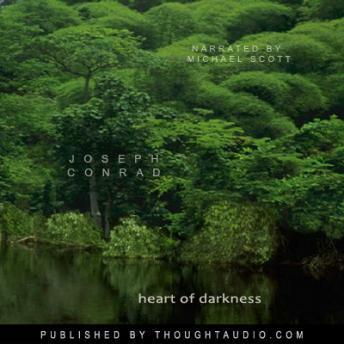 Passages and references from the book are sprinkled through other writings and The Heart of Darkness was the base content for the movie Apocalypse Now by Francis Ford Coppola. I understand this book was the underlying inspiration for Apocolypse Now, which makes total sense. Well worth the time to read.